Chevrolet drivers in Tacoma, WA should know where to bring their Chevy for top notch services. Coopers Auto Repair Specialists have a team of technicians that are specially trained on your vehicle. To get the best performance from your Chevrolet, you need to bring it to the mechanics who know its in and outs. 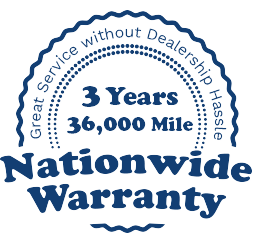 Lesser experienced general repairs shops will treat your Chevy like any other repair. That’s not the best quality service that you can find. When Chevy drivers in Tacoma, WA want to maintain the quality of their comfortable and reliable vehicle, they trust their services to us. It’s all about timely and consistent maintenance when preserving your engine’s superior performance. Chevys come in all shapes and sizes, from cars, trucks, SUVs, commercial vehicles, and more. Our technicians know how to extend your Chevy Silverado’s rough-riding days, and keep your high-powered Camaro ruling the streets. All we need is for our Chevy drivers to check in with us once in awhile. We know what kind of attention your Chevy needs, and all we want to do is give it. Your fun will continue for much longer when you bring your maintenance and repairs to us. Any of our vehicle services that concern your Chevy, include your oil and filter changes. We’ll find out exactly what time intervals for these services, are best suited for you. If you’re a street racer or you plan on hauling heavy loads in your Chevy pick up, you’ll need a specific maintenance plan. The Chevy manufacturer’s recommendations are always considered, but our comprehensive care and knowledge of your vehicle’s history and future allow us to make the best choice for you. Any repairs to your Chevy that are minor or major will be handled by our expert techs. We handle anything from brake repairs to transmission service. Stop by our repair shop today so we can introduce ourselves, as your new Chevrolet service providers. Our auto maintenance partnership should let you breathe easy, knowing your Chevy is always in the best hands, and receiving specialized auto service.